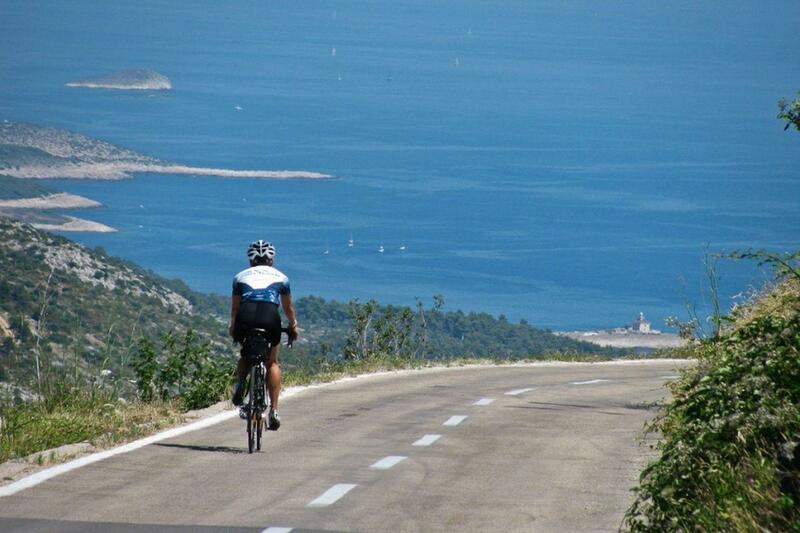 Cycle along the most beautiful areas of the Croatian coast! 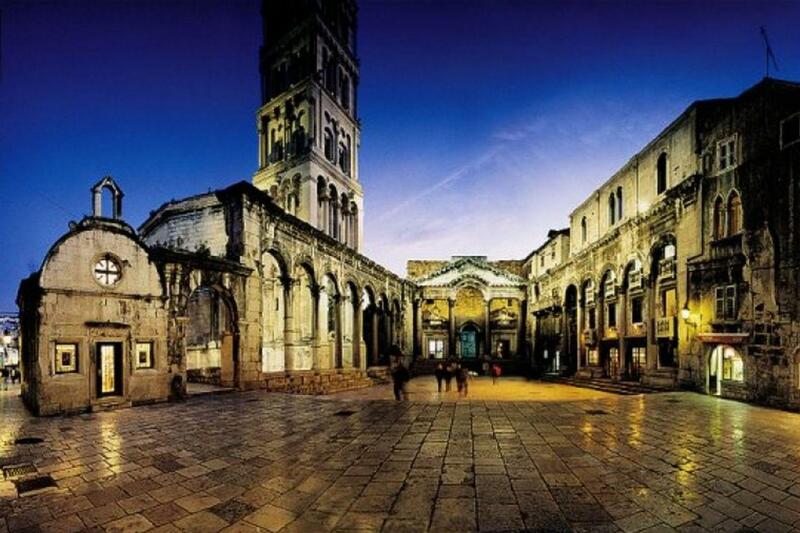 Spend two evenings in Split, discover beautiful Diocletian palace. Depending on your arrival time we will fit bikes, have briefing and suggest easy loop ride along Marjan hill starting from your hotel, located in the very center of town. 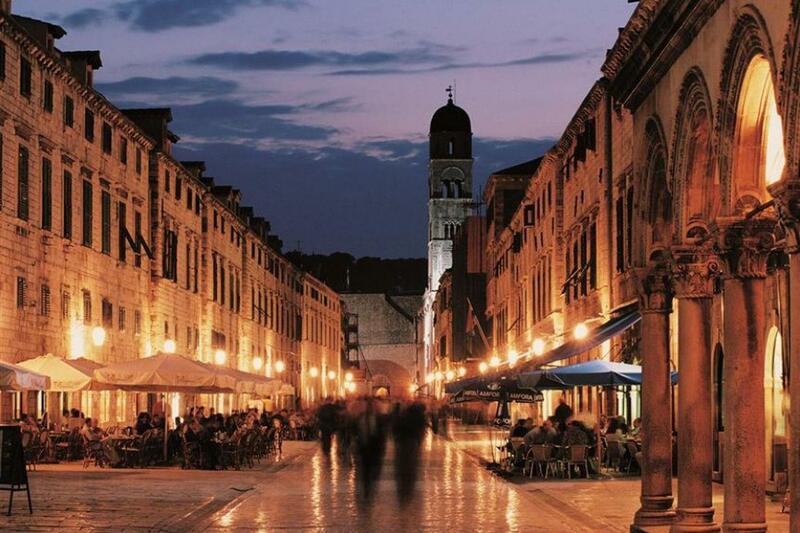 In the evening we urge you to explore 1700 years old Palace of Diocletian, an UNESCO World heritage site, the Peristyle, Romanesque houses and experience every day’s life by visiting ancient fish market and local fishermen. Today you take 45 min ferry ride to the island of Brac, located just in front of Split. There are various riding options and distances, from easy 25 km to big 80km loop rides, visiting Greece and Roman ruins, fisherman villages, wine cellars and art galleries. Island Brac is famous for its stone, the White house in Washington and Diocletian’s palace are some sites that were built with that stone! All the ancient villages and towns on Brac are kind of an exhibition of fine stone work! Return to Split with the late afternoon ferry. Welcome to the island of Hvar! For the morning ride we suggest easy ride around the UNESCO site of Stari Grad. Stari Grad (Old town) is an ancient Greek colony dating back to 400 B.C. Besides historical sites you will discover quite charming towns and roads where you will be biking, passing next to the private gardens, along the coast and olive groves. For the afternoon bike ride take the famous and probably most beautiful road along the lavender fields to reach town Hvar. After the private boat transfer, start with your bike ride on the island of Korcula, about 46 kilometers to the town of Korcula. Island was very early populated; even before Greek times and evidences can be seen on you ride! During the history it was chosen by Venetians as a spot to build their important walled city on the northern shores of the island. Therefore, nowadays, thanks to that, we have the most magnificent walled Korcula old town still preserved and almost intact for centuries where you sleep for next 2 nights. Enjoy the scenic south side of the island, with amazing views on beautiful hidden beaches and coves, ride along the small villages and hamlets and stop in some of the few great local konoba (taverns) for most amazing local food! As you stay for another day in Korcula take a chance to explore the island of Korcula; its hidden coves, beautiful old towns, unique small villages and dark pine forests that cover the island. There are few loop options today. Whatever you choose, you will be making your way along vineyards, olive groves and a beautiful coast of the island. Taste the traditional food like homemade gnocchi, homemade macaroni, pasticada....and other meals which have been traditionally prepared by the locals for centuries...Some of the best Croatian white wines are produced on this island which will just add flavor to your lunch or dinner. Did we mention Marco Polo was born here, and has started his life journey from Korcula?! Today, for your final ride, you will be cruising along Peljesac peninsula. 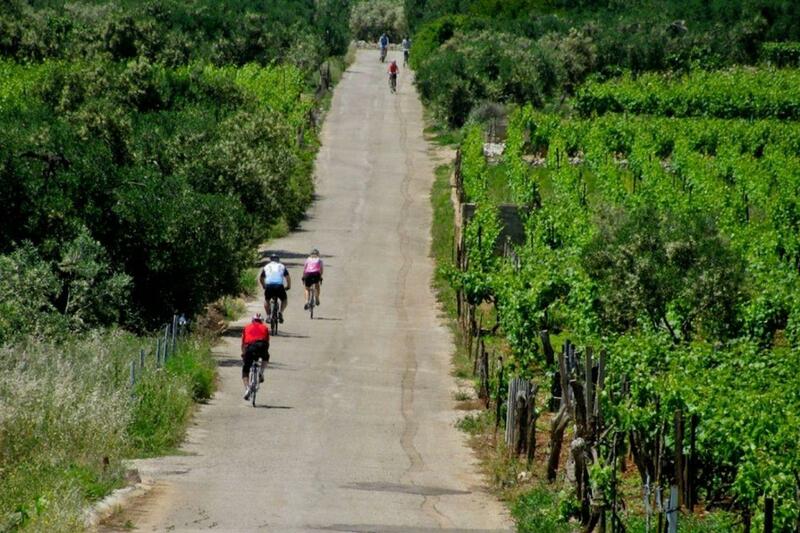 You will be riding along vineyards of Dingac and Postup, made from the Plavac Mali vines, close cousin to Zinfandel of California and Primitivo from Calabria. There are many wineries which can be visited along the ride. Enjoy the great views Peljesac is offering you, Mljet and Korcula island on your right and mainland on your left. The ride today has a couple of hills, coastal rides, vineyards… Your final bike destination is Ston, from where you will be transferred to Dubrovnik. Ston, salt producing village on Peljesac peninsula was built in the 14th century town and has the longest fortified walls in Europe – 5.5 km. Ston, which you are about to see, was important town for Dubrovnik Republic, which was the strongest and most prosperous in the 14th century! This tour requires moderate physical shape. No special skills are required. Possibility to upgrade hotel to 4* or 5* star hotels. Routes and rides have been beautiful probably a little tougher that we expected but we have all managed and feel pretty proud of ourselves. Your guide was excellent in his explanation of everything (and with the islands and ferries this a little complex than straight hotels and taxis).This were the best ride books I have had in 4 DF trips he is to be commended, very detailed. First hotel in Split was more of a pension but rooms were comfortable and they were all very helpful. Lovely people in fact which made the stay memorable. Second hotel in Hvar had a plumbing problem before we arrived. Nathalie the manager did a fantastic job of organising different hotels and supporting us. We were really impressed. Breakfast was brilliant at the original hotel. Logistics superbly handled. We could have stayed longer in Hvar.We have one bike that has a spoke problem which we are trying to get repaired because it is causing the wheel to bend and could be dangerous .